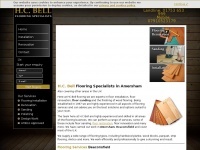 Here at H.C Bell we provide a range of Flooring Services including Floor Sanding. We cover Amersham, Beaconsfield and many more. The websites author and copyright owner is H.C Bell. Server provider: Merck and Co.